Summertime is all about sun-kissed cheeks, glowing skin, warm-toned eyeshadows, long feathery lashes, and sheer color-washed (ultra hydrated) lips – but who is to say these makeup trends cannot be carried through year-round? For those of us in the southern hemisphere heading into the winter season, think of these as essentials to go with your resort wear and/or warm-weather dresses. From semi-permanent lash staining mascara to out of this world cosmeceutical luminizers, check out the hottest products of the season that will bring out your natural beauty and leave you looking summer-ready all year long for any occasion – rooftops, resorts, and beaches included! Hydra Life BB Crème: Everything about this BB cream is perfect for summer. Sun damage is the number one cause of premature ageing – hence the necessity for using base products that have a dermatologist-recommended amount of SPF. Dior Hydra Life BB Crème is remarkably hydrating and contains the ideal amount of broad spectrum SPF without leaving your face looking pasty or ashy. Available in 3 pigment-correcting colours, this product is perfect for a wide range of skin tones that leave the skin looking immediately enhanced – softer, smoother, and more radiant. Another reason I love this product is for its cosmeceutical blend of flower extracts that boost moisturisation, activate collagen synthesis within the dermis. Dani Glowing Skin Perfector: Formulated by a world-renowned dermatologist with an extensive list of celebrity clientele, this skin perfector can be used as a primer or mixed with your foundation to create a lit-from-within glow that enhances the skin’s natural radiance and youthful appearance. Dani Glowing Skin Perfector gives a subtle, yet luminescent polish that really embodies “the look of summer” while infusing highly effective youth-supporting Asian botanicals into the skin to combat signs of ageing head on. This skin luminiser facilitates healthy skin – or in other words, it is actually good for your skin! For an added glow, use as a highlighter on the cheekbones, the bridge of the nose, and on the brow bones after applying foundation mixture to the face and neck. 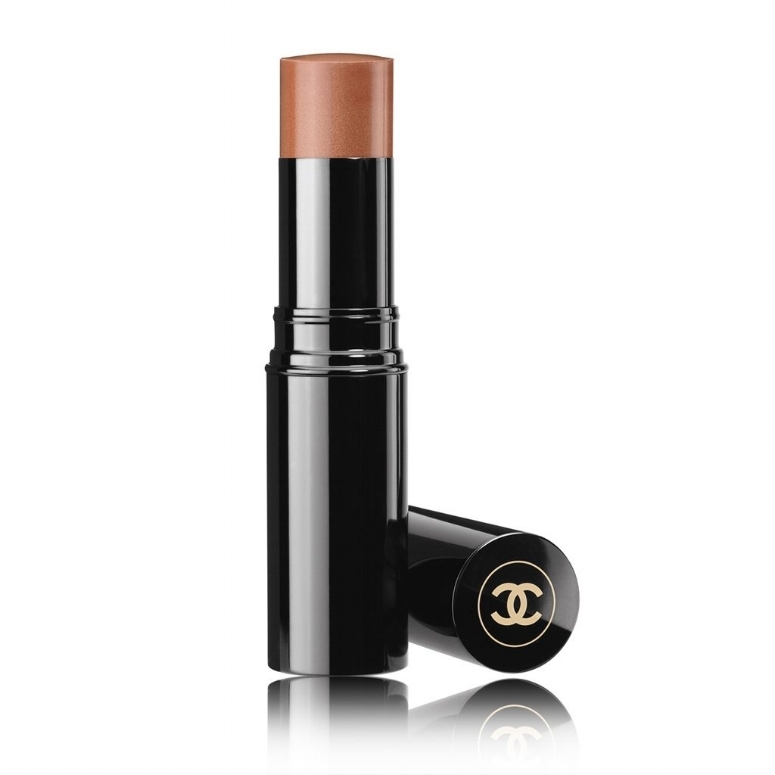 Smoothed Over Lipstick: Hydrated and glistening lips are the key to finalising your summer-ready look. Arbonne’s new Smoothed Over Lipstick is packed with ultra moisturising botanicals, volumising peptides, and plumping ingredients (including hyaluronic acid) to leave your lips looking and feeling incredible. Produced using an innovative new satin-glossy formula, this luxurious product acts as both a hydrating lip conditioner and as a vibrant lipstick. In addition to Orchid (pictured beautifully below – my favourite colour this year) there are 15 other colours within this collection – making it very possible that you may want to get your hands on more than one! Gemmed Luminizer: If you are a lover of all-natural quality makeup that is free of artificial colours, unneeded toxins, artificial fragrances, and synthetic preservatives – 100% Pure is the brand for you. Recently, they expanded on their original Fruit Pigmented Luminiser to include two new colours that are produced using a variety of finely crushed natural mineral stones (including moonstone, Australian opal, pyrite, and sunstone) that illuminate the skin and allow for build-able and seamless coverage. The Rose Gold Gemmed Luminiser (pictured below) works remarkably well at giving a warm, beachy, and sun-kissed glow to the skin. Apply to the cheeks, bridge of the nose, in the corner of the inner eye, and/or just under the arch of the brow for a naturally glowing complexion in all the right places! Naturally Glam Eyeshadow Kit: In regard to eyeshadow colour, this crease-proof palette encompasses everything you need for a naturally enhanced slightly shimmery eye. Whether you’re going for a bronzed daytime no-makeup look, or a sultry deep copper-toned evening look, the Naturally Glam Eyeshadow Kit will get the job done. For added and more buildable colour, apply Jane Iredale Smooth Affair™ For Eyes Eyeshadow Primer before using this palette. Jane Iredale’s Naturally Glam Eyeshadow Kit will be available for purchase online this August. Les Beiges Healthy Glow Sheer Colour Stick: Available in three beautiful (and versatile) colours, these luxurious cream-based blushes soak into the skin almost like a balm. The darkest shade works remarkably well as a contouring cream when applied to the hollows of the cheek – and excellently compliments the lighter shades applied of the apples of the check. All of these cream sticks are buildable, yet sheer enough even for the most blush-opposed makeup wearers that like to keep things natural and fresh. Cream blushes are in right now for their ability to more naturally blend into the skin vs. a powder – if you have not tried one out yet, make this summer season a reason to explore! WUNDEREXTENSIONS Lash Extension Stain Mascara: Created by the same producers as the revolutionary WunderBrow, WunderExtensions Lash Extension Stain Mascara yields thick, yet naturally elongated lashes that withstand the heat and humidity of summer for an entire 72 hours without the usual flaking and smudging experienced by most conventional mascaras. The secret to success with this product is all in the application. For best results, clean, dry, and brush lashes prior to applying this stain mascara from the base of the lashes to the tip. For added volume and length (while still remaining natural in appearance), wait for the first coat to dry and follow up with a second coat applied using the same method. If you’re seeking a more dramatic evening look, this product works outstandingly well as a primer prior to applying WUNDER2’s Lash Extension and Volumising Mascara. Bronzing Powder: For all-over bronzing, this finely milled bronzing powder gets the job done with flying colours. What makes this product especially unique is the hydrating skincare formula that utilises Apple Extract Complex and Revidrate™ to leave the skin free of dryness and allow for effortlessly smooth blending. For best results, use lightly all over the face, ears, and neck after applying a setting powder to prevent too much colour from being picked up. This must-have product comes in two build-able shades that allow you to create a variety of summer looks from “a day in the sun” to “a week at the beach” in a matter of minutes.